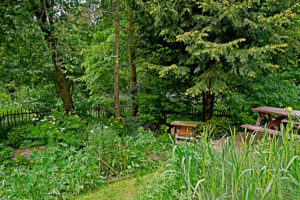 Our Wildlife Garden one of the very first areas created way back in 1989. 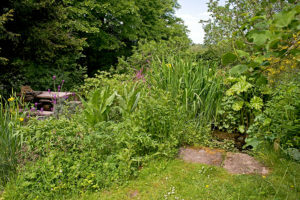 The grass field was transformed with a pond, cottage garden flower border, small lawn, native hedge and a few trees with a woodland corner beneath. There was also a small vegetable patch. The ‘Wildlife Garden’ is situated just below the café and shop. 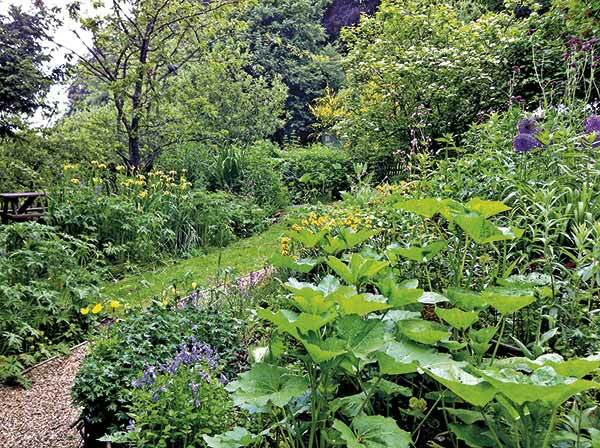 We aim to show that a beautiful garden can be an important wildlife habitat. Flower-filled borders in the sun provide fantastic sources of nectar and pollen for many insects. 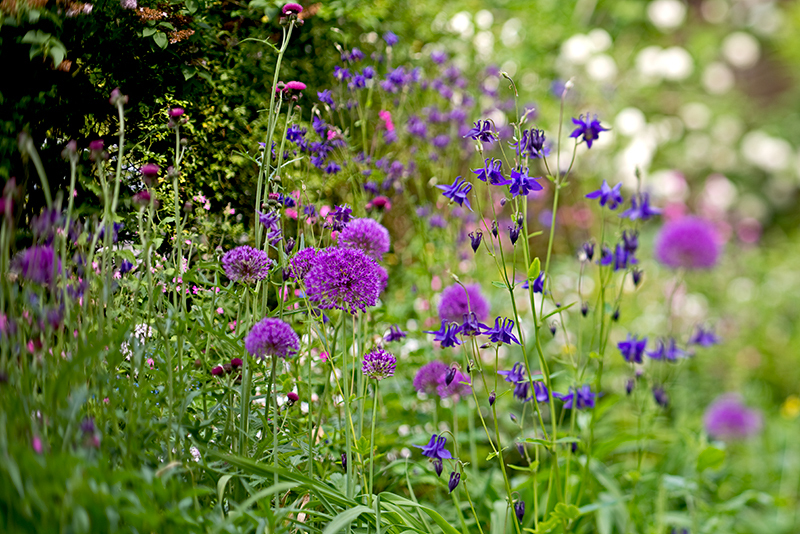 Pack in as many different plants as you can, in bold clumps. Aim to have something in flower year-round. Shady corners can provoke dreams of your own woodland. 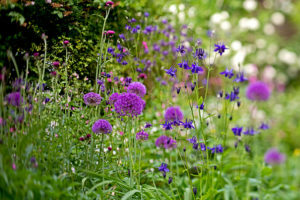 Choose plenty of ground cover plants, bulbs and shrubs; be ambitious with log piles and don’t be too tidy. Many animals appreciate a bit of quiet away from prying eyes and predators. Ponds give life to a whole range of aquatic plants and animals and provide drinking water and a place to bathe for many others too. Trees and shrubs create shelter, provide nesting and hibernating sites and song posts for birds. Choosing native plants (e.g. for a hedge) provides many more homes for invertebrates than some exotic species, including many of our moths and butterflies. Trees and shrubs that produce nuts and berries provide welcome food in the winter months. 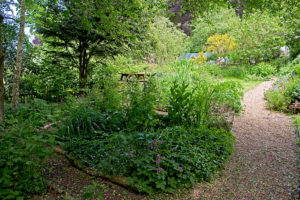 Lawns and open spaces are good too – we humans need somewhere to enjoy the garden – you can even create a mini-meadow for summer time – happiness all round!